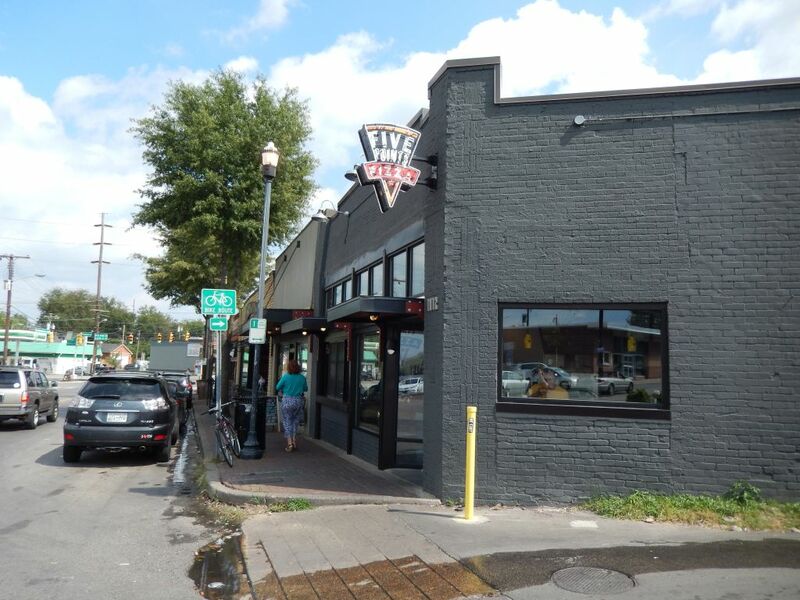 I may be slow in spreading this news, but after making my second visit to the new “slice shop” extension of Five Points Pizza, I can control myself no longer. This may just be the greatest thing to happy to pizza in Music City since Manny gave up his dream of being a songwriter and started making pies in the Arcade. 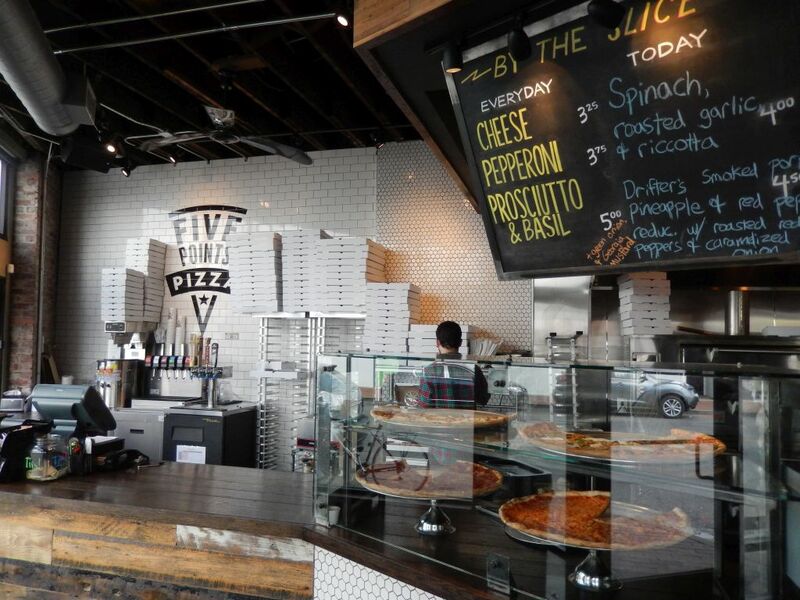 Following the lead of their Austin mentor, Home Slice Pizza, Five Points has taken over some adjacent space where they now feature a quick service pizza-only shop. It’s the place to go when you want a quick slice (or in my case two) or a whole pie to take home. 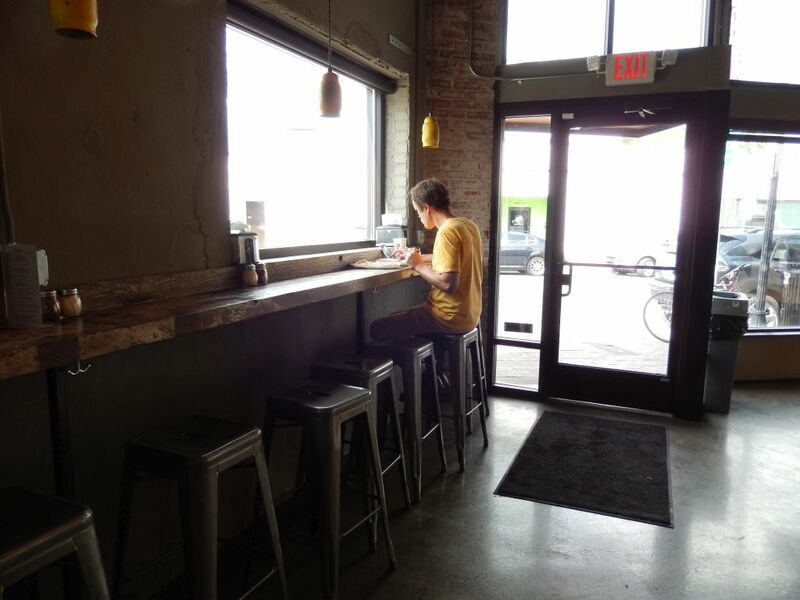 There is room to sit at their counter, and you can also wash your slice down with a draft beer. The shop serves three “Everyday” slices plus two “Today” specials as noted in their sign above. They are open until 1 a.m. during the week and until 3 a.m. Friday and Saturday. Going to East Nashville just got even better!